After coming out as transgender last August, the WikiLeaks source is seeking to make her name change official. Incarcerated U.S. Army Private Chelsea Manning has filed a petition for name change with a Kansas district court, and has a hearing scheduled for April 23. Manning, who is currently legally known by her birth name, "Bradley Edward Manning," has filed the request in order to be legally recognized by the name "Chelsea Elizabeth Manning." Manning, who came out as transgender one day after being sentenced to 35 years in a military prison for leaking classified documents, is currently being held in an all-male facility at Fort Leavenworth. In a statement issued yesterday, the Pvt. Manning Support Network announced that it will change its name to the Chelsea Manning Support Network. According to the support network, in addition to her name change, Pvt. Manning is asking to be allowed to obtain hormone replacement therapy, one of the standard treatments for gender dysphoria, as outlined by the World Professional Association for Transgender Health Standards of Care. Manning has been diagnosed with gender dysphoria by multiple army behavior health specialists. The statement also shines light on the strategy Manning will use in an effort to obtain medical treatment, reading, "In the face of military opposition, the American Civil Liberties Union plans to assist attorney David Coombs in advocating for Chelsea's right to receive HRT. There is already precident in federal courts establishing this right for transgender prisoners. We are confident that with adequate public and legal pressure, the military court and military prison system will follow suit." Manning has not indicated interest in seeking any form of gender-confirming surgeries while serving out her sentence, and has not requested to be moved from the facility in which she is currently being held. Lauren McNamara, a trangender writer and activist who had communicated with Pvt. 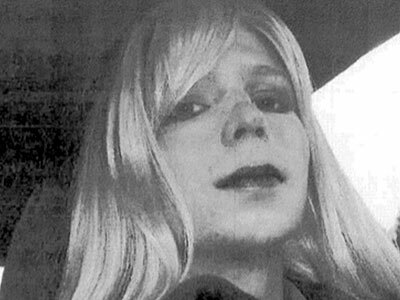 Manning online in the years before her arrest, and testified during Manning's trial, expressed optimism that the court will grant Manning's name change. "The right to name yourself is a basic matter of personal autonomy — it is a fundamental expression of who you truly are," McNamara says. "This right does not cease to exist when you are incarcerated. It is crucial that Chelsea's name change be approved without delay."